The show is actually based off the comic book series written by Robert Kirkman, Tony Moore and Charlie Adlard. This entry was posted in Television and tagged Brian S., Comic Books, Graphic Novels, Horror, Television, TV, Walking Dead, Zombie, Zombies. Bookmark the permalink. Check out our post on Top 10 Horror TV Shows! This show was so well done! I felt like I was watching a movie and not a TV show. Acting was excellent, special effects were superb, and the plot was well paced. As a testament, my fiance had no desire to originally see the show (her initial reaction was along the lines of “ewwwww, zombies”). We DVR’d it and she asked if I wanted to watch it last night. She got sucked in and now she has set up a DVR schedule so that we don’t miss an episode! I saw the first episode on Comcast On Demand last night. They did an amazing job! They made is such a high quality show; just look at the cinematography and the make up! WOW! There are a couple parts that were not in the graphic novels. In in particular that I thought kind of odd was when Morgan was sniping the zombies from the house window. After just chastising himself for firing a gun to kill a zombie in the street and making too much noise, he starts to fire an even louder gun from a window in his hiding place. Why would he do this when 1) he didn’t need to at the time, and 2) he had been in a really nice hiding placing where his son was safe. Well no wonder why what happens later in the series happens. I won’t spoil it for you all. Other then that the show was a great watch! Can’t wait for the next one! Sometimes when a TV show is adapted from existing work in another medium (in this case comic book), the fans of the original story can be of a divided heart. There are some that love the story in its presented medium who become afraid of what the producer’s of a TV version of their favorite story will do to it (especially as the story gains a larger viewing audience). Others get really excited the minute they first hear the news of a TV show being made of the story. I put myself in the second category and I thought it was a very bold and exciting move when AMC decided to take a cult horror comic about the zombie apocalypse and turn it into a TV series. So far the first episode has stayed pretty true to the original story laid down in the comic. At the start of the story, small town police officer Rick Grimes is injured by criminals escaping a road block and his hospitalized in a coma. He wakes up in an empty hospital (ala 28 days later) to find the world has fallen victim to the zombie apocalypse and society as he knew it is gone. He goes home to find his wife and son are gone. The first episode is spent getting used to this new world and he finds a man and his son who are surviving day by day in this hellish world. The pilot episode sets the tone of the series as Rick believes his family is alive and he goes to their last known whereabouts (he heard they were evacuated to Atlanta) to find them. Episode 1 closes with him trapped in a tank in downtown Atlanta surrounded by the flesh eating dead. I like the fact AMC has taken a very big risk on producing a series that could be categorized as “horror drama”. Though not new to books, film, or comic books, having an entire show focusing on people surviving in a world full of cannibal zombies is something new to TV. I never thought that the zombies that were born in the sick mind of George Romero’s Night of the Living Dead would ever be more than a cult horror phenomenon. It is without doubt that the arrival of Walking Dead on TV marks a major turning point for horror. AMC could have decided to go the safe route and produce another vampire series for TV (ex. True Blood) which is more “dark romance/dark drama” than true “horror”. It proves that this story along with the huge amount of other zombie media has a large enough audience to make Hollywood take notice. Don’t be surprised if you see more mini-series and other series of this type hitting the airwaves soon. At the end of the day, it comes down to the production team and writers to make sure they get the story right when bringing it to the small screen. 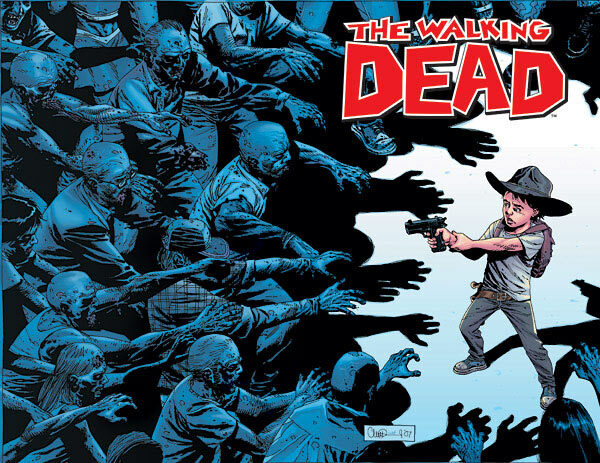 The people at AMC so far have done a great job taking The Walking Dead from the illustrated world to the small screen. There are quite a few controversial plot twists in the original comic series and it will be interesting to see if AMC’s production team will stick with them as more episodes are filmed and the audience grows larger. If they don’t do so and change the story, the series may not survive very long. Let’s hope that AMC still is willing to gamble and they continue to keep the quality of Walking Dead as good as the first episode. Thanks for your great comments. After watching the 2nd episode, I heard that there have been major changes from the books. People who are loyal to the comics are disenchanted with the tv show’s changes. What do you think? Will you continue to watch it? It’s already been picked up for a second season after episode 2. 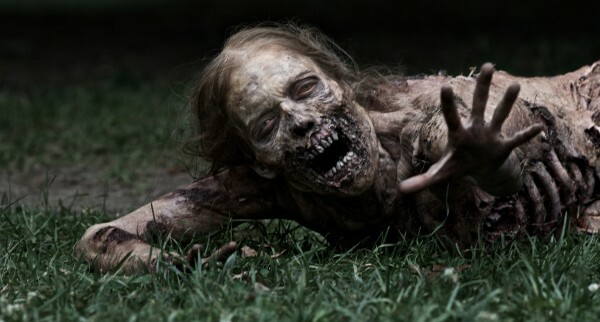 I was amazed at the first episode of the walking dead!!! When I saw it I could not keep my eyes off the screen and I hated when it was time for a commercial break. The series have the feel of a movie instead of a T.V. Show and the effects are amazing. Now every Sunday is a Walking Dead day for me and my friends and we see together the show. The Second episode was good even though they did major changes from the comic book. They added characters that do not exist and changed a lot of the major plots from the comic as well as to change the personality of some characters. Lori being one of them I actually dislike the T.V. version of her because she is the opposite of her comic counterpart. Nevertheless I am not going to stop watching the series since I am a true fan of zombies and lets give it a chance to change. Maybe we would like things to keep the same but hey we never now whats in store for us in future episodes.